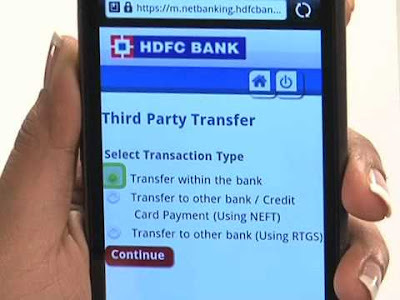 HDFC Bank, one of India’s leading banking and financial services company and one of the country’s most valuable brands, today announced that it has selected Adobe Marketing Cloud platform to deliver personalized digital experiences to its 37 million customers. This multi-million dollar deal represents one of the biggest implementations of Adobe Campaign globally, and reinforces HDFC Bank’s commitment to taking the lead in providing a truly world-class digital experience for Indian customers. “The ongoing digital revolution has opened up an array of opportunities as well as challenges for companies across the world. This is especially true for the BFSI sector in India, where more and more customers are relying on the power of the internet for all their banking requirements. At HDFC Bank, we are making strategic investments in driving a company-wide digital transformation to deliver on the fast evolving needs of our customers today. The implementation of this solution provides us with a comprehensive view our customers’ engagements with our campaigns, allowing us to share relevant, personalised marketing content with them, which enhances the customers’ experience with us with a real time response. As one of India’s leading brands, it’s important to us to maintain the trust and relationship we have built with our customers by continuing to improve and innovate,” said Kartik Jain, EVP, Head Marketing and Customer Analytics at HDFC Bank. As part of this partnership, HDFC Bank will replace its current engine for outbound campaigns with an all new solution based on Adobe Campaign that will help the Bank create multi-wave campaigns that will deliver an improved and personalized experience for its customers. This implementation will augment HDFC Bank’s marketing efforts by helping plan, automate, orchestrate, and measure marketing communications across channels. The company will also take advantage of optimized costs, extensive reporting and Marketing Resource Management capabilities that this implementation will deliver.“We are confident that our alliance with Adobe will help us deliver a truly compelling experience for our customers and support business results”, said Kartik Jain. With this new technology, HDFC Bank will be equipped to handle tremendous volumes of 37 million customer enquiries and 400 million emails a month.